Provide your staff with basic to advanced training on a wide range of subjects. Learn the fundamentals of aircraft dispatching in military operations. 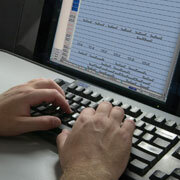 Civil Aircraft Dispatcher Certification available. Learn transport pilot fundamentals in military operations. Civil ATPL licensing also available. Learn the fundamentals of international flight operations, regional airspace modules (North Atlantic, Polar, etc.) and the basic requirements for fligth planning and civil international aviation law compliance. Learn the practical aspects of aircraft certification regulations and operating regulations, along with optional subjects such as assumed temperature, ETOPS, terrain drift down and contaminated runways. Gain an understanding and knowledge of the emerging and increasingly complex international airspace systems.